“If the Yankees persist in their extremely dangerous reckless actions on the Korean Peninsula and in its vicinity, testing the self-restraint of the DPRK, the [North] will make an important decision as it already declared,” he said. North Korea’s decision to back down is a major victory for the United States, as it was achieved — apparently — with no concessions to the regime, and after a sustained “Twitter war” of words with President Donald Trump. 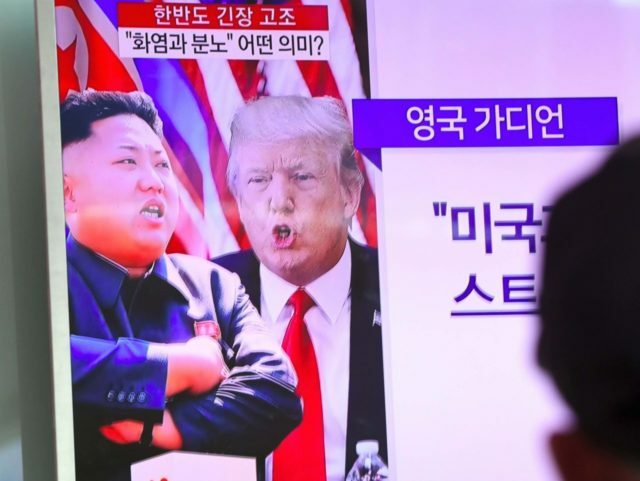 However, Trump’s method of one-upping Kim-Jong-un’s belligerent rhetoric seems to have worked, as Trump cast himself as even more unpredictable than the infamously impetuous tyrant. He also pressured China diplomatically to squeeze North Korea, which also worked: the Chinese suggested last week that they would not defend North Korea if it attacked the U.S., as long as the anticipated U.S. retaliation did not actually try to end the regime itself.